A piece of lime green sea glass from Saint Martin, this piece of sea glass has an air bubble trail inside it. 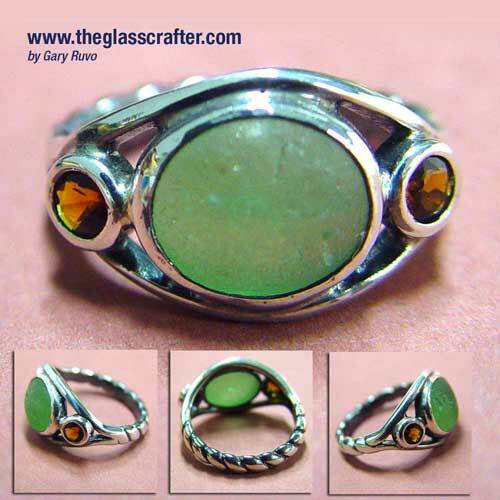 This has sterling silver bezel and with hand carved ring shank. It is accented with two citrines set in 4mm hand drawn tube.